You’re playing a 9 handed sit and go tournament on the bubble. 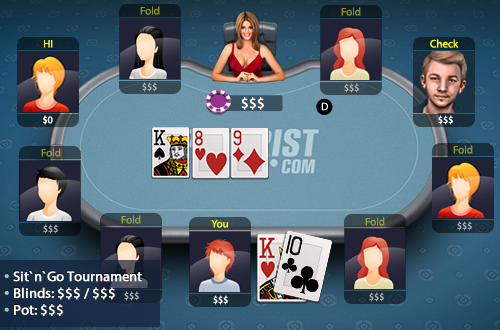 The short stack of the table has moved all in and the player in the small blind has called. You call with K10. The flop comes K89 and your opponent checks to you.